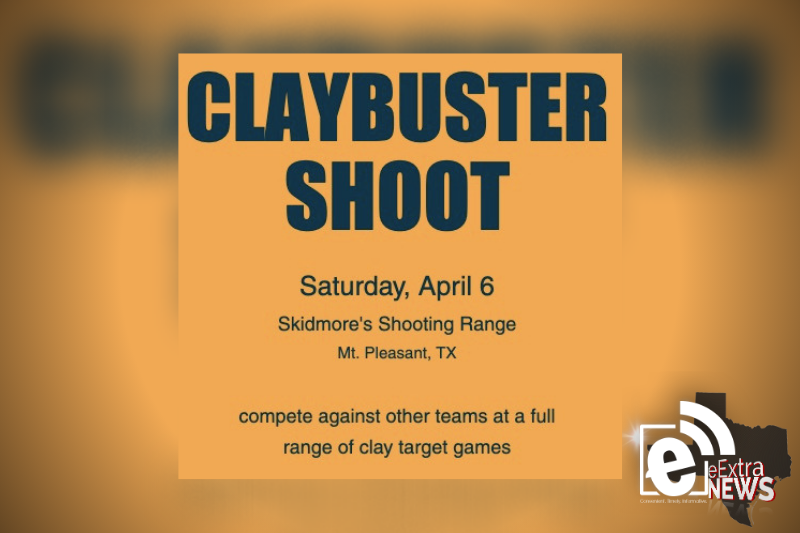 Clay shooters in the community will have a chance to put their brass to the test with Claybuster Shoot set for April 6, 2019, at Skidmore’s Shooting Range, 193 Private Road 1614. Supporting Titus County Care’s Food4Kids, the Claybuster weekend includes dinner and an auction at Mid America Flight Museum on April 5 at 7 p.m. and Claybuster Shoot at Skidmore’s Shooting Range on April 6. According to their website, Titus County Cares provides food, financial help, counseling and other tangible items for families in need. They intend to build relationships to meet spiritual needs with the families. According to Titus County Cares’ website, the 2019 silent auction will open at noon on April 4 and close the evening of April 5. Participants do not need to be present at the Claybuster Shoot to bid or win. Auction items include a Napa Valley Epicurean Adventure for two, Fairmont Scottsdale Golf and Spa for two, National Finals Rodeo weekend balcony tickets for two and much more. Individual tickets are $50 for the dinner and auction. Partner packages available include: 12 Guage Sponsor, $1,200, which includes dinner table for eight, shooting team and shoot station sponsorship; Dinner Table, $500, eight guests, company logo displayed on table and a wine basket; Shooting Team, $500, five-man shooting team to compete Saturday; Auction Sponsor, $250, for those who can’t attend but still want to support Food4Kids. For more information, contact Titus County Cares at 903-575-9157 or email, wecare@tituscountycares.org.